Founded in 2000 Bet365 is a gambling website available in 17 languages and 29 currencies with a unique history and company structure. While similar companies established in the UK have since moved offshore for a lower tax, Bet365 is privately-owned and based in Stoke-on-Trent (Staffordshire, England, UK) where each of the owners was born and raised. They are one of the largest gambling sites in the world--larger than the online divisions of both William Hill and Ladbrokes. As background information, we will introduce their owners and cover their history. Bet365 is a family-owned business, 50.2% by Denise Coates. Her brother, John Coates, and her father, Peter, combined have 43.1% ownership; and the small remainder is taken by others. In addition to the Bet365 betting website, the company owns an 84.4% stake in the English Premier League franchise Stoke City FC, of which Peter Coates is the chair. As the story goes, he was a bookmaker, and his daughter Denise headed up their online expansion. While the origins of the site are vague, the story is far more remarkable starting at the beginning with Peter Coates' birth. 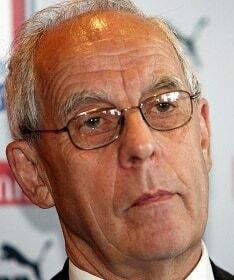 Peter Coates was born into poverty in 1938 in Stoke-on-Trent (England, UK) as the youngest of 14 children. His father was a miner and an avid fan of the local professional football team, the Stoke City Potters. Peter left school at the tender age of 14 to work in an office, and perhaps made his father proud when as a youth, he signed up to play with the Potters' amateur team. Not quite good enough to reach the highest level, he went on to play football for the Goldenhill Wanderers and Kidsgrove Athletic before giving up the sport in 1961 at the age of 23. He then entered the service; and upon his release took a position at Wimpy restaurants, where he reached the position of regional manager. Peter's career as a businessman started in his late-twenties when he founded Stadia Catering that provided catering services to football grounds. Stadia merged with Lindley Catering in 1968 and Peter served as chair from 1968-2001. The confusion about being a bookmaker comes from the fact that he was quite the keen investor. He purchased a few betting shops in 1974 that would go on to become the chain known as Provincial Racing, which through future acquisitions grew to as many as 59 shops. Provincial Racing was only one of many businesses tackled by Peter. As mentioned, while owning these shops he was also chair of Lindley Catering. Additionally, in 1983 he founded the radio station Signal 1, and in 1989 he purchased a majority stake in his favorite football club, Stoke City FC. He served as their chair until 1997 before selling his shares in 1999 for £3.5 million. Peter didn't stay away long! In May of 2006, Bet365 purchased back all the shares previously sold, and he resumed the chair of Stoke City FC. As of today, he is currently listed as the 25th richest man in football. John and Denise Coates are Co-CEOs of Bet365 and two of the most private individuals you'll find in the gambling business. Neither acquiesced to a single full interview until 9-years after the Bet365 website had been launched. From what can be gathered from these interviews, while a teenager, Denise worked as a cashier in one of her father's betting shops--to him a small side business to the catering company that serviced football grounds. After receiving a first degree in econometrics from a local university, Denise became the operating manager of the betting shop franchise. She describes it as a handful of rubbish shops that she was up for the challenge to improve. Her brother, John, has stated in various interviews that working alongside Denise in the late 1990's, he saw how fast she caught on to the growth of online betting and heard her keep repeating "this is what we're going to do." In January of 2000, Denise Coates purchased the domain name Bet365.com from eBay for £10,000. At the time, she was working as the managing director of her father's betting shop chain Provincial Racing. Curious timing how this all played out. Peter had only months earlier sold his shares in Stoke City FC for £3.5 million. He then mortgaged the betting shops, receiving a £15 million loan from the Royal Bank of Scotland (RBS), which was used to fund Bet365's startup. This was all happening at a time when Ladbrokes and William Hill were entering the online arena with some hesitancy. The much smaller franchise, Provincial Racing, and the Coates family ownership were quick to go all-in, fully banking on the future of Internet betting. With all work done from a portakabin, the development was complete and Bet365.com went live in March, 2001. The original Bet365 already was similar to what the company is best known for today. Of course back in 2001, all online bookmakers were accepting bets on horse racing; greyhounds; English, Italian, German and Spanish soccer; and the major US sports: football, basketball, baseball, and hockey. Bet365 took it much further! Out of the gate, they offered odds on several dozen additional soccer leagues as well as took bets on athletics, bowls, boxing, cricket, cycling, darts, golf, international basketball and hockey, formula 1, motorbikes, NASCAR, pool, rugby, snooker, speedway, tennis, among other sports. While today this sounds standard for a European bookmaker, Bet365 was the first to have such an extensive wagering menu. The idea was, by having so many markets and leagues covered no matter where you live day or night, you'll always find bets on matches 24/7/365. In addition to covering numerous leagues, the first version of the website also included other features Bet365 is still known for today. In fact, the famous channel 4/1 horse racing offer--that can still be found today at www.bet365.com--was an original promo since the start. Initially, they also offered a £20 free sport bet and a $25 casino bonus. Today much larger bonuses for casino and sports are offered. Perhaps the biggest draw to the site was trust. The website displayed the following message on scroll: "Bet365 is a division of bet365 Group Limited, a leading UK licensed betting and gaming group since 1974. Bet365 handles over 250,000 wagers per week. The group also operates 59 land based betting offices in England." Back then, there were a lot of betting sites owned by shady companies based in the Caribbean. Even William Hill was operating their online division offshore. Their UK base was a very unique selling feature that certainly helped ease players' minds about the legitimacy of betting online with Bet365. Today, Bet365 has 6 million customers in more than 200 countries. They employ over 1,700 people, making them the largest private employer in Stoke. As a private company, financial statements are not public record. We do know, however, that Denise Coates earned £37.5 million in dividends over the past three years alone and had a 2011 salary of £4.5 million. It's reasonable to assume that Bet365 is one of the ten largest private companies in the entire UK. So how did a family owned business grow to be so large? The answer is the same story of Peter Coates, born into poverty in 1938, and months before Bet365 launched selling his shares in Stoke City FC for £3.5 million. What Peter did was save enough to start a catering business and then invested over and over again. He purchased a few betting shops, added more, purchased stocks, and started other businesses. Thus, the short answer is that Bet365 grew massive by constantly investing profits back into the business. In the next section, we cover some of these investments. In November of 2004, Bet365 added online poker to accompany their sports and horse race betting and online casino. Originally, their poker room operated on the Microgaming Network; but in early 2007, they made the decision to change to the iPoker network powered by Playtech. Over the years, they've sponsored a small handful of professional players. The most noteworthy was Danish Poker Pro Jesper Hougaard, who they signed after the 2008 World Series of Poker (WSOP). In June of 2012, they became the first poker site on the iPoker Network to launch Sprint Poker, a popular variant of fast play poker similar to Full Tilt Poker's invention of Rush Poker (and what PokerStars later introduced as Zoom Poker). Today, a 100% up to $1,000 sign up bonus is available at poker.bet365.com. When it comes to the history of gambling sites, the oldest both as a phone-in shop and online sportsbook is Intertops. Otherwise, there weren't many older than Bowmans.com purchased by Bet365 in November, 2006. A little on their history: back in 1985, their founder, Gary Bowman, started American Football Pools from Manchester, England. Equipped with a UK bookmaker's license, he became the first to legally offer phone-in betting to the United States. In April of 1997, he moved his business to the Internet using the domain bowmans.com, which targeted several countries and was the first online sportsbook to include an affiliate program. Initially, affiliates were paid a percentage of a player's first three deposits. While Bet365 would stop servicing US players around the same time they purchased Bowmans, this sportsbook did have many non-US players, including many from the UK. Bet365 made the decision in 2007 to migrate Bowman accounts to Bet365 giving them an instant boost in player volume. In 2008 Bet365 added Bingo to their platform. This now expanded the gambling offers to sports betting, horse race betting, online casino, poker, and bingo from a single website log-in with a centralized player bank. Different from their sports product, the bingo site is a skin much like their poker room. It is licensed by the Gibraltar Regulatory Authority and powered by Playtech using software known as Virtue Fusion. Other known bingo rooms that use the same software include PaddyPower, William Hill, and Ruby Bingo. A key to their bingo marketing success has been the sponsorship of the popular UK soap Emmerdale. As of today, new Bet365 bingo players from the UK can claim £25 free just by making a first time deposit of only £5. In 2004, Bet365 added dozens of currencies to their website; and for the first time made non-English languages available. Originally their website was translated into German, Italian, Danish, Swedish, Norwegian, and Chinese. Over the years, this has been expanded to include Spanish, Greek, Polish, Portuguese, Romanian, Czech, and Slovak with limited Japanese and Russian support. The available account currencies include EUR, CZK, GBP, USD, CHF, DKK, HKD, HUF, JPY, RON, THB, SGD, SEK, ZAR, ISK, MYR, MXN, NZD, NOK, PLN, TWD, INR, CHF, CNY-RMB, CAD, ARS, AUD, BRL, and BGN. Bet365 truly became as massive as they are today by constantly investing in the latest innovations and expanding their markets. In 2005, they sold their 59 betting shops to Coral for £40 million and began to focus exclusively on Internet business. From here Bet365 has been near first, and perhaps best, with all online betting innovations. Their mobile betting platform is extremely versatile and works with Blackberry, iPhone, iPad, Android, Nokia, and most other devices. The Bet365 betting markets are truly second to none. Here you'll find betting opportunities on all major US and European sports leagues plus hundreds as remote as Latvia Virsliga women's floor ball and English Super8 volleyball. Their specialty is live in-play betting, and many matches are streamed right from their website accompanied by menus featuring match winners and dozens of propositions. To conclude, it is worth mentioning the significance of the fact that Bet365 remains based in Stoke. Most competitors operate from low-tax districts such as Isle of Man, Gibraltar, Alderney, Malta, or the Caribbean. In a 2012 interview, Denise Coates stated, "Why Stoke? It's a simple answer: it's where I'm from. We began in a portakabin on a car park near one of the betting shops. It's to a large extent an accident of birth. As to why we have stayed here when every other major competitor is based in a lower tax jurisdiction, that's a more difficult question to answer logically." Denise went on to explain that her family is what has been most important to her and how she hated to travel away for business if she could afford not to. While some of the logic is mysterious, there's 1,700 people employed in the city benefiting from Bet365 remaining regional. Also, as a result of the profound commitment to keeping such a massive business local, and for his contributions to local football as well, Peter Stokes has been granted an honorary degree from Keele University. This came in 2011--not bad for a man who left school at the age of 14 to go to work. Perhaps the story of Bet365 would be told differently if any of their business dealings had the slightest bit of shadiness. However, Bet365 has always paid players very fast while providing great customer support. It is a unique gambling site, and it is well worth opening an account. Considering the plethora of bonuses available at Bet365.com, there's no reason not to give this remarkable Stoke-based company a try. In July 2014 Bet365 recorded a significant year-on-year increase in operating profit. In the 12 month period ending March 31, 2014, the company made profits of £320.9 million. This represented over an 80% increase on the previous 12 months profits of £179 million. Total revenue had increased by nearly 40%, to £1.3 billion, based on customer wagering of over £26 billion. In May 2018, Bet365 decided to increase their presence in Malta due to regulations in various jurisdictions. But they keep a strong commitment to Gibraltar.